 Our fish is always wild, Alaskan and sustainably caught. 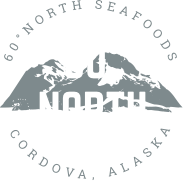 Sixty North is fisherman owned - we know fish. We are a business built by fishing families, employing fishing families and community members. Our small custom facility will be a resource for the town of Cordova by supporting regional harvesters, providing value-added custom processing and empowering fishermen to direct market their catch. 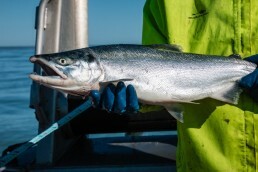 We specialize in traceability – so you can know the fisherman for every single fish, and premium quality – for extended shelf life and exceptional sensory qualities. Wild Alaskan salmon’s rich flavor, firm texture, and vibrant color comes from the untouched Alaskan waters they thrive in. High in omega-3 fatty acids, wild Alaskan salmon is known for its incredible health benefits and taste. 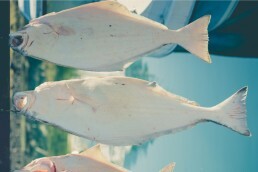 Halibut are among the largest of the saltwater fish and the largest of all the flatfish. It is an excellent source of high-quality protein and minerals, it is low in sodium, calories and fat and contains few bones. 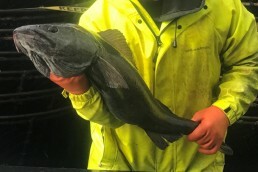 Black Cod is a species of deep-sea fish common to the North Pacific Ocean. Excellent source of heart-healthy, omega-3s, good source of potassium and an excellent source of high quality protein.